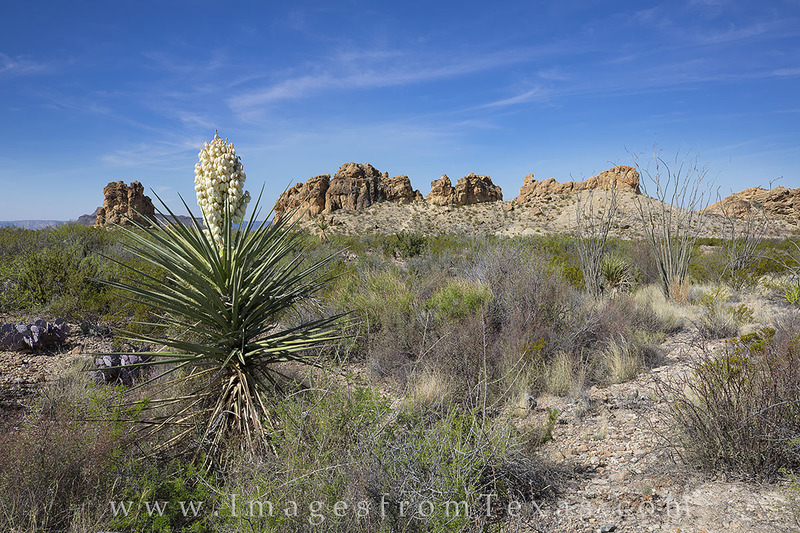 About two miles into the Chihuahuan Desert in Big Bend National Park, a group of rock outcrops called the Chimneys spring up from the hot, dry desert floor. On the southernmost rock mound, Indians carved petroglyphs that you can still see today. Photo © copyright by Rob Greebon.